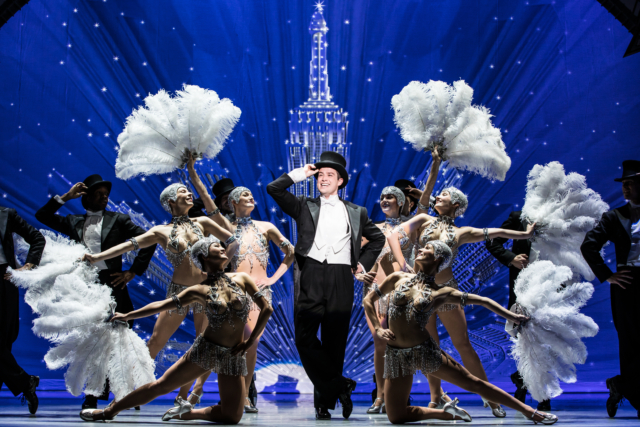 To make a great stage version of a towering film musical sounds like an impossible task. However, gay playwright Craig Lucas did just that with his 2014 stage adaptation of An American in Paris. The 1951 Oscar Best Picture-winner was inspired by George Gershwin’s 1928 orchestral composition. Though Alan Jay Lerner’s script for the film is charming as all get-out, Lucas transcends that by exuding that same charm while adding a deeper dimension of the characters’ demoralization done by the Nazi occupation of France. The benefit a being a few generations further along has actually made the original story even better, thanks to Lucas. The Ordway is hosting the national tour of the Broadway hit and it is simply superb. 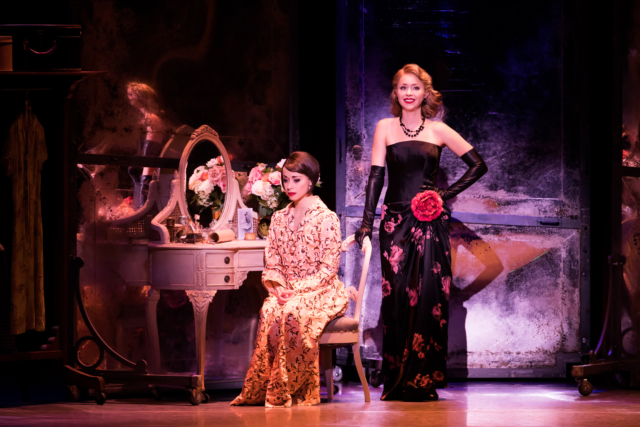 The musical takes place as World War II has just ended and reflects the paradoxical energies of grief sprung from 1. war’s devastation and 2. the renewal of life after a dark, gruesome chapter. The musical focuses on a young woman and three men with strong feelings for that young woman. Her family was victimized by the Nazis. McGee Maddox and Sara Esty are picture-perfect as the romantic leads: American veteran, Jerry, and Jewish survivor, Lise. Etai Benson as Adam, a disabled U.S. veteran and a struggling composer, brings vibrant pluck to his role. Nick Spangler embodies the rigid decorum of Henri, the son of French industrialists. One wonders to what degree his family may have been collaborators with the Nazis. Two supporting performances are notable. Gayton Scott as Henri’s rigid, appearance-driven mother, and Emily Ferranti as Milo Davenport, an American socialite who champions young artists. Both performances reveal a lovely empathic humanity beneath what could be seen at first glance as arrogant self-preservation and opportunism. An American In Paris has been directed and choreographed by Christopher Wheeldon with a glorious mix of the balletic, the jazz scene, the modernist style, and that good old-fashioned boy-meets-girl prototype. Wheeldon is an absolute visionary. Scene after wonderful scene flows like a magical river. Natasha Katz’s lighting design and the projections by 59 Productions make for some of the most stirringly beautiful visuals you may ever see in a stage production. Faded images of Paris. Chalk-like drawing occurring right up on stage outlining such images, as if inscribed by God’s hand. Bold evocations of modern art that fill up the stage space. 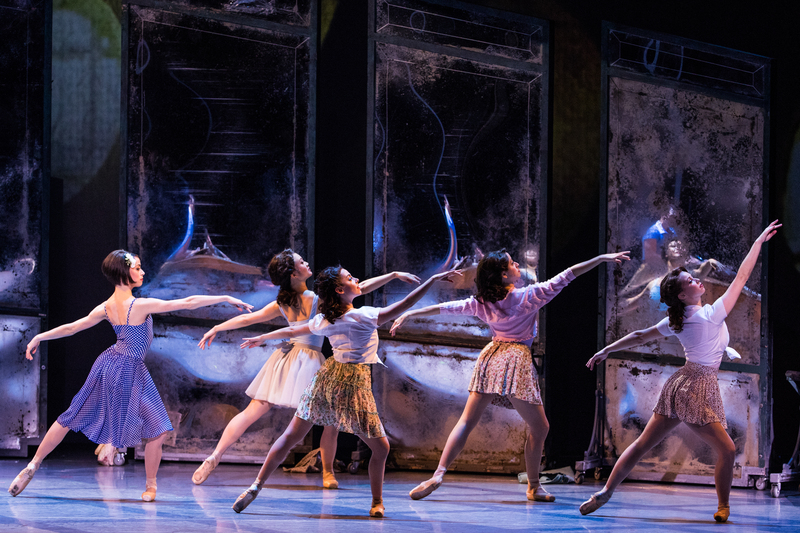 One of the show’s most beguiling numbers is “Fidgety Feet” wherein a sensuous, sensual, slow-moving classical ballet is juxtaposed with an audience with the fidgets. Two dance styles appear simultaneously. 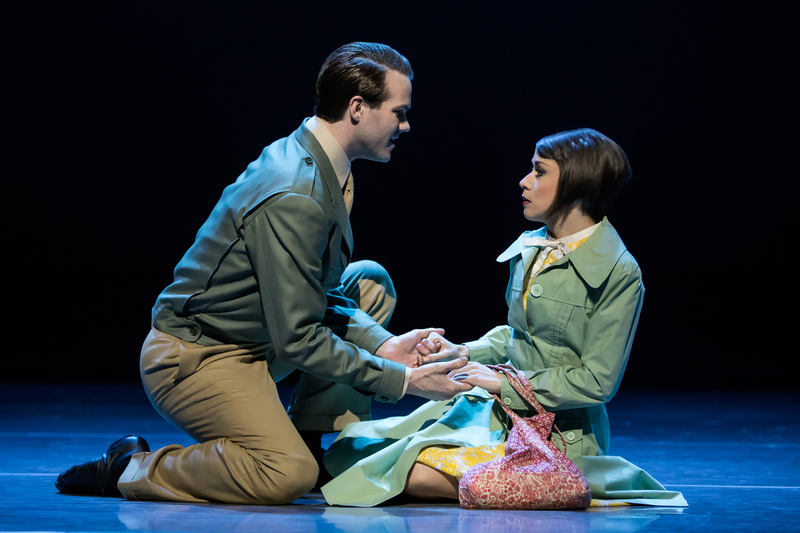 Both are equally enthralling and underscore just how sophisticated and yet fully accessible An American in Paris truly is. And the music! Well it’s the incomparable George Gershwin. Need I say more? And lyrics by his brilliant brother Ira. Rob Fisher’s adaptation and arrangements are marvelously handled.